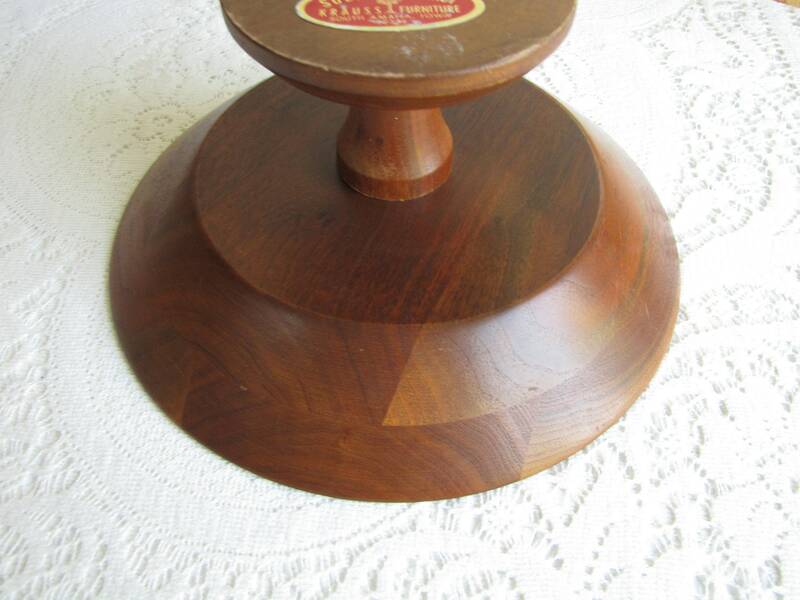 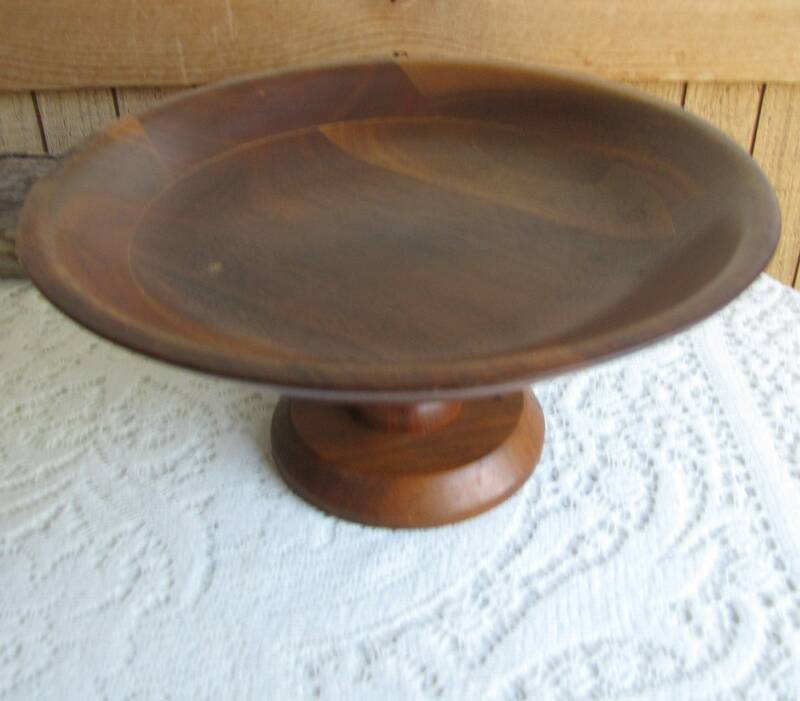 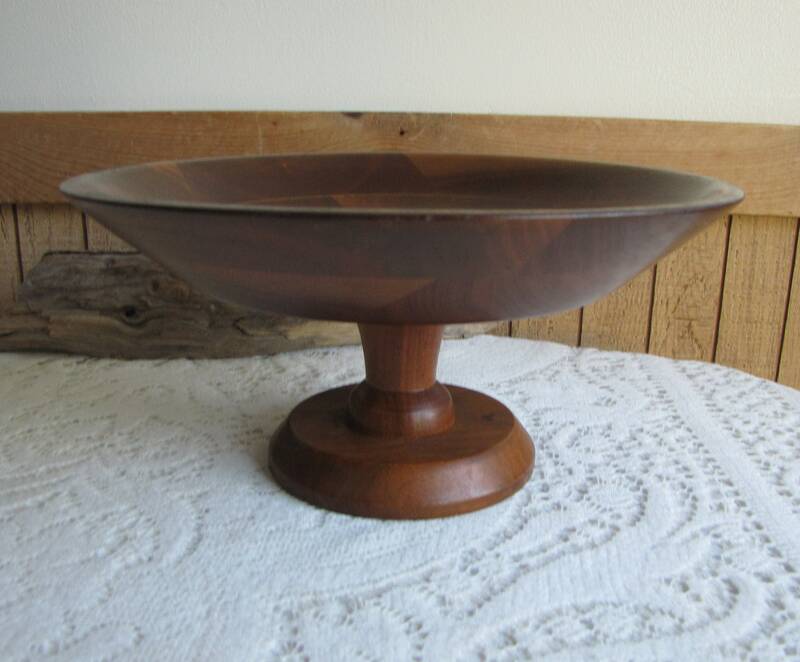 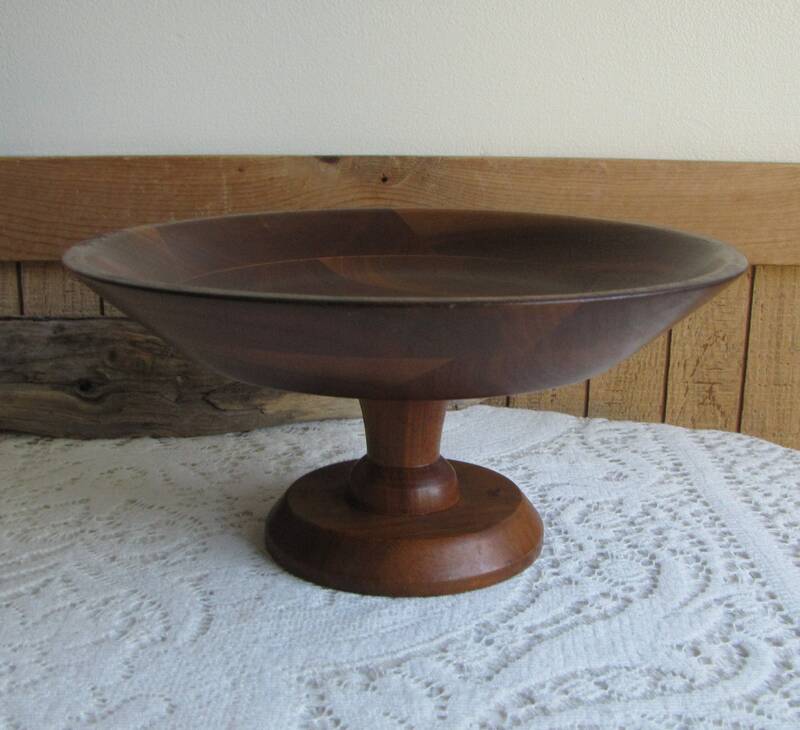 A wood pedestal bowl made by Krauss Furniture that is in very good vintage condition; the bottom is missing 3 felted stickers. 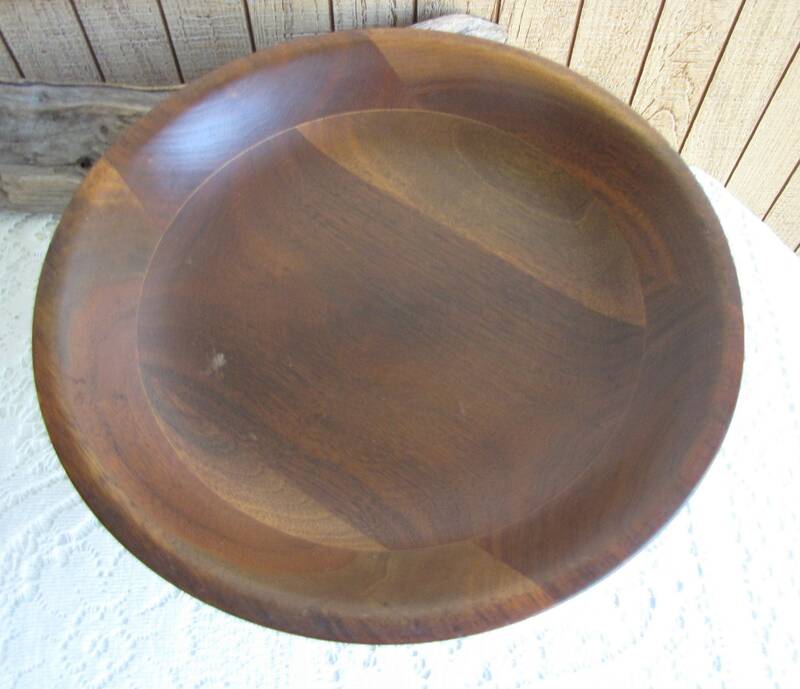 The bowl does spin and is solid walnut. 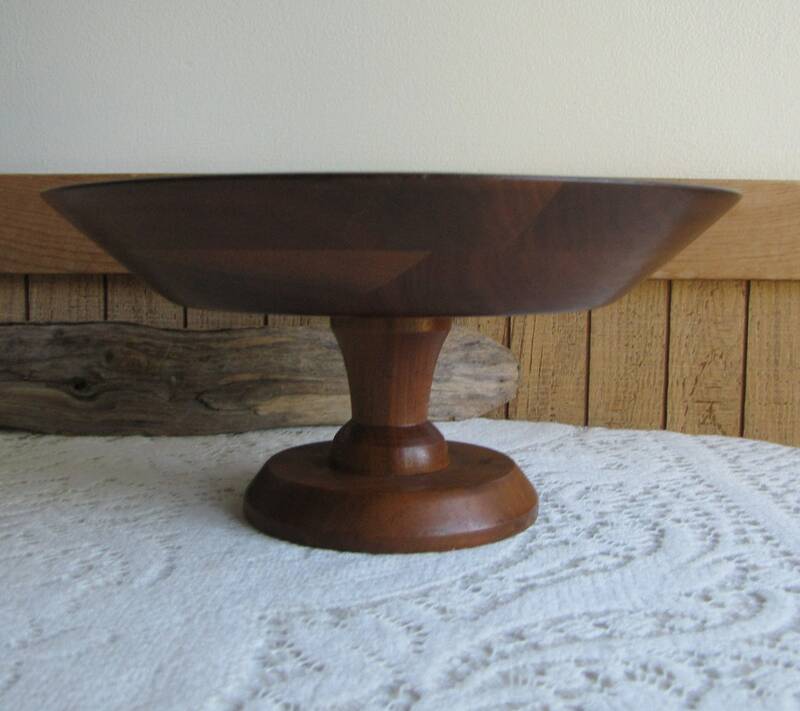 This spinning centerpiece or fruit bowl measures 5 inches tall and 10.25 inches in diameter at the plate. 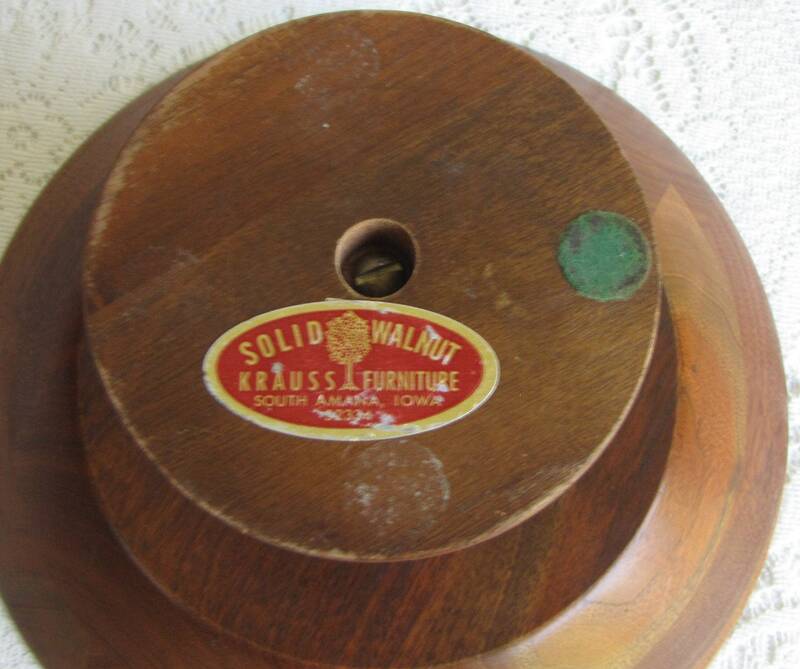 Krauss Furniture operated in California from 1956 to 2002.